First and foremost, happy birthday wishes (actually, a day after the big event) to my amazing, talented, smart, funny, beautiful daughter! 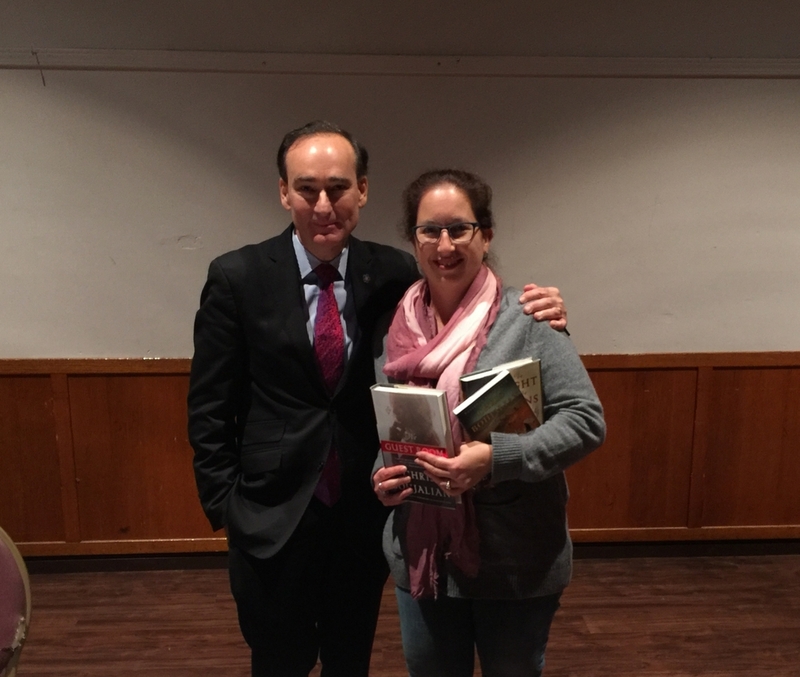 I attended a terrific appearance by Chris Bohjalian, one of my favorite authors! 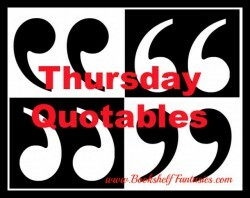 He talked about his newest book, The Guest Room (my review is here), as well as The Sandcastle Girls. The talk was amazing, he was gracious and warm, and I got my books signed! I talked about the spring TV shows I’m most excited about (lots of video clips! 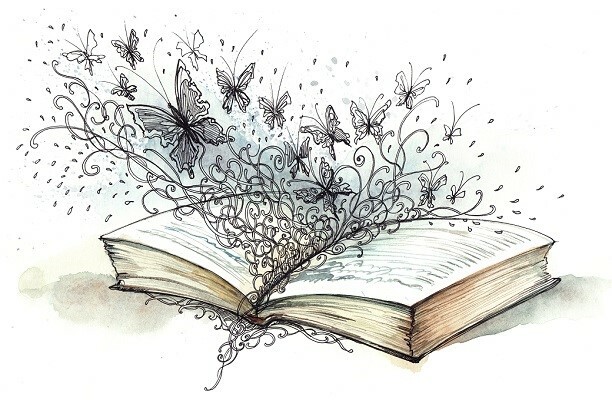 ), and I also posted some thoughts on my New Year’s resolution about reading series. The Readers of Broken Wheel Recommend by Katarina Bivald: A five-star read! My review is here. I didn’t actually buy any books this week (yay, me! ), but I did borrow two more graphic novels from the library… and I’m not sorry! Wait, did I say I didn’t buy ANY books this week? Make that — I didn’t buy MANY books this week. I couldn’t resist buying copies of The Sandcastle Girls and The Guest Room (which I already have as e-books) — and getting them signed by the author! 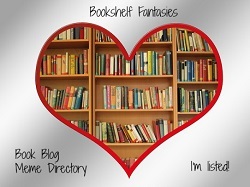 Archivist Wasp by Nicole Kornher-Stace: This is my book group’s pick for January. I probably wouldn’t have come across this one on my own, but I’ve read the first few chapters and I’m finding it pretty good so far! I finished listening to the 21+ hours-long audiobook version of The Outlandish Companion, volume II, which was utterly fascinating. I’ll be posting a guide to reading and listening to the OCII sometime later this week. 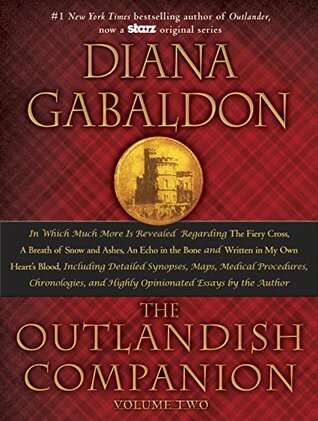 While I’ve read the original edition of the first Outlandish Companion volume (originally published in 1999), I haven’t done more than randomly leaf through the revised edition (published March 2015). So, working my way backward, I’m now listening to the OCI audiobook, which — thankfully! — is a much shorter 13 hours and 48 minutes in length. Woo hoo! Our new group read-along begins this week! 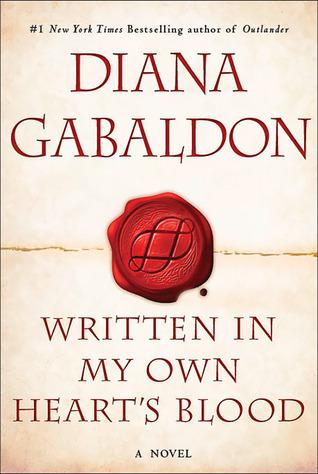 Over at Outlander Book Club, we’ll be doing a re-read (or “re-kilt”, as we like to call it — I know…) of Written in My Own Heart’s Blood, the 8th book in the Outlander series. We’re reading and discussing two chapters per week, from now through sometime in mid-2017. (It’s a big book!) Anyone who’s interested is welcome to join in, so either click on the link to head over to the OBC site, or just ask me how! 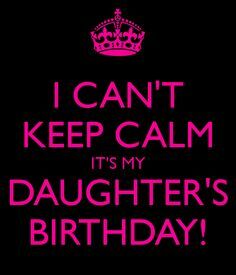 Happy birthday to your daughter! I love the Outlander books, but I really need to get around to reading the rest of them. 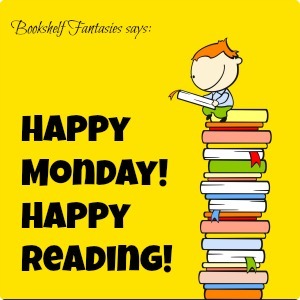 I’m up to book 3 🙂 Have a great week! Thank you! I hope you have a great week too! Happy birthday to your daughter, my youngest girl turned 13 on Friday 🙂 I enjoyed The readers of Broken Wheel Recommend too. I’m so glad you enjoyed Readers too! Happy birthday to your daughter! Happy birthday for your daughter! I love meeting my favourite authors and getting books signed. So much the better if they have time to give a talk and do a Q&A. You look so happy in that photo! Do you run the Outlander Book Club?! It’s excellent! I’d love to join in this one but I am new to the club and am only just reading Drums of Autumn for the first time. Love the series! 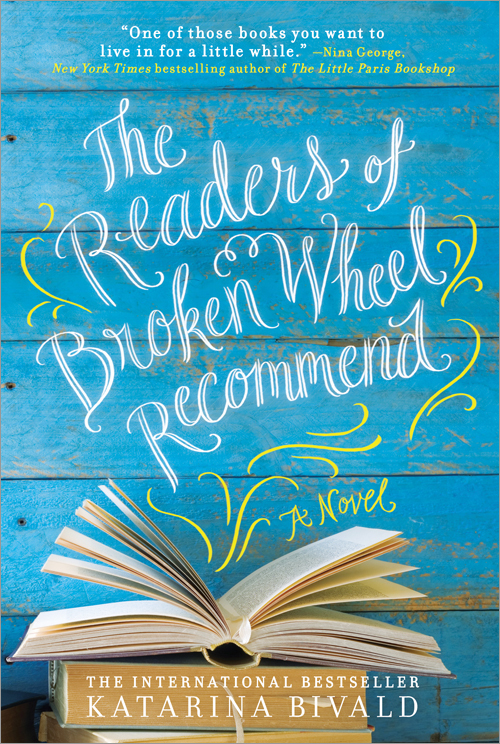 I have heard much about The Readers of Broken Wheel Recommend in the library world (I’m a library assistant) and will have to add that to my list. 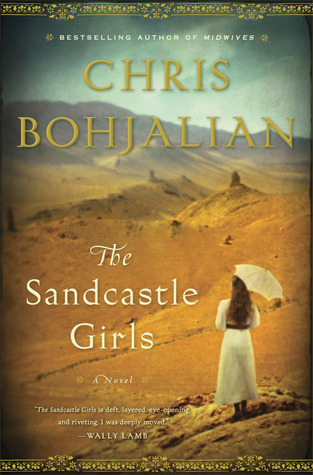 Chris Bohjalian is wonderful–I also got to meet him at my library once. I credit him for renewing my passion for reading fiction as an adult. Midwives was the first adult fiction book I read and it was spectacular. Great blog! Am following via email for future updates. 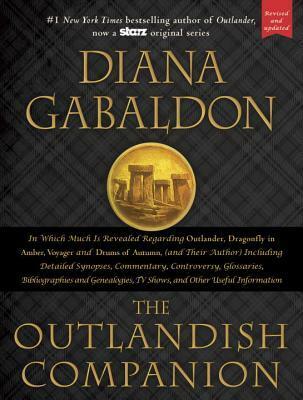 I’m one of the moderators for Outlander Book Club – come join us! We have tons of discussion threads for all of the books in the series, so you can find what suits you. 🙂 Thanks so much for stopping by and for following! Looking forward to getting to know you. 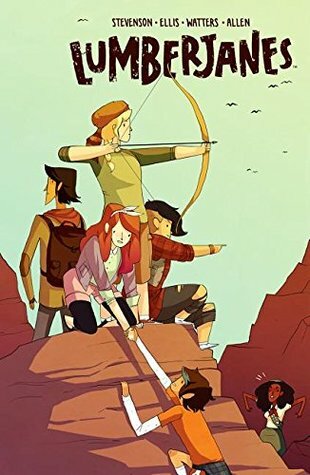 I loved the first volume of Lumberjanes! I hope you like them. 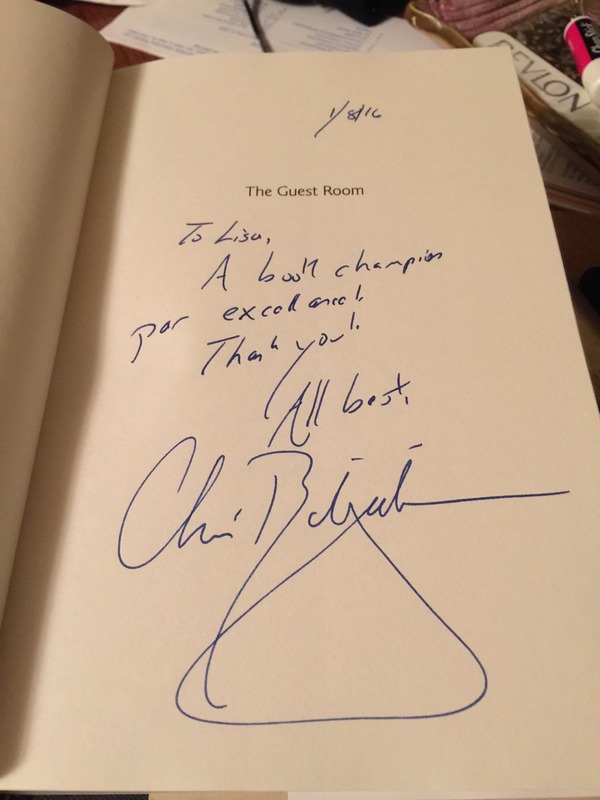 Congrats on the book signing. 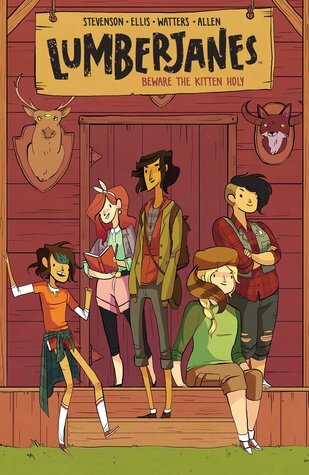 And hope Lumberjanes is good- looks fun. Nice TV post too- looking forward to Agent Carter and Black sails myself! Thanks! Can’t wait for Black Sails! 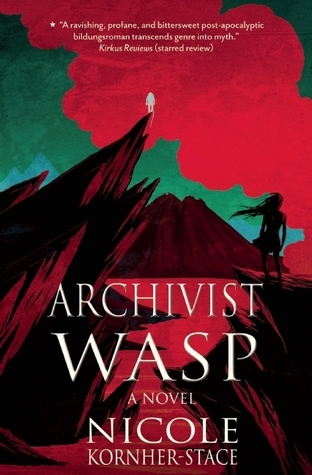 Archivist Wasp looks interesting! Pretty cover, too.